If you are just starting out learning how to swim, or if you struggle to improve your swimming, you have probably heard someone along your swimming journey say: "You just need to relax more". At that moment you also probably thought to yourself: "Yeah right. How am I supposed to relax if I am using every muscle in my body to stay afloat and to go forward?" Believe it or not, being tense while swimming is probably one of the biggest issues many swimmers face. No matter what level swimmer you are, relaxation and trust in your body's buoyancy in water are the foundations of your learning to swim progress and thus make your swimming more enjoyable. 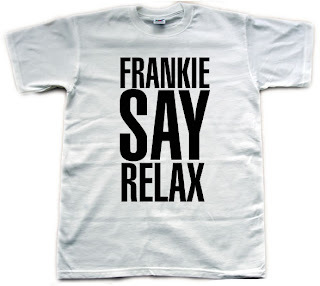 If even Frankie says "relax", it must be true. To help you relax in the water it is pertinent to learn and understand how your body behaves while submerged and how your body and water interact with each other during different swimming motions. Without this closely knit water-body relationship, it is very tough to progress any further in your swimming career. However, if you spend time playing in the water, feeling the water, and listening to the water, you will soon notice that your body is less tense and you feel more comfortable. So, indulge me for a moment and stop worrying about how far or fast you swim; go back to the basics and you will not be sorry. By basics, I refer to floating and sinking exercises which will get you more attuned to the water and yourself in it. Before I show you a great floating and sinking exercise, let me break a myth about how you should move in the water. Above I noted that many swimmers think the following: "How am I supposed to relax if I am using every muscle in my body to stay afloat and to go forward?" This is actually a bogus question and an excuse because the majority of us float in water just by taking a breath into our lungs. So it is not really about using all your muscles to stay afloat, it is more about using the right muscles to keep your body in a correct horizontal swimming position. If you think of swimming in terms of the swimmer's body going through the water as opposed to swimming on top of the water, you will realize that your body suddenly behaves in a totally different way, you can relax more and focus all your energy on going forward instead of floating. Now to the actual floating and sinking exercise. I already explained that to increase efficiency and effectiveness in the water, a swimmer needs to maintain a proper body positioning while swimming, so I will not go into details here. However, in order for you to maintain such positioning and balance, you need to relax and control your movements. You can reap the the benefits of the wonderful feeling of relaxation in the water if you work on getting aware of your water environment while moving through the water. The best way to start on your way to total relaxation is to perform a series of sinking and floating exercises where you work on consciously relaxing most of the major muscle groups in your body and only engaging the muscles that matter. The sinking and floating exercise that I like to teach maintain the body in a prone position at all times, so you will need to engage your core body muscles to keep yourself straight and learn to trust the buoyancy of your body in the water. Let's begin. 1) Stand up in a pool where the water reaches at least to the middle of your chest (the higher towards the neck the better though). 2) Put your arms alongside your body like a soldier and straighten your neck, so there are no wrinkles. Eyes look straight in front of you. 3) Now, take a breath and slowly start shifting your body weight forward keeping your feet planted on the bottom of the pool. The toes and heels of your feet (depending on what direction you are sinking in) do not leave the bottom of the pool at any stage of this sinking/floating exercise). 4) When you are slowly falling forward, start exhaling bubbles out of your mouth. After you hit the water, you will float for a while as there is too much air in your lungs. However, after a few seconds of bubbles, you'll notice your upper body sinking towards the bottom. When you reach this negative buoyancy, stop blowing bubbles to preserve the air in your lungs and just enjoy the free fall down. Repeat the exercise and each time work on relaxing one more muscle in your body. You can repeat this sinking/floating exercise until there is no fear of falling into the unknown and you feel like you can relax while sinking. When you are comfortable with the forward sinking exercise, try shifting your weight backwards, so you go back first into the water. In this exercise, you might want to either hold your nose with your hand (don't forget to relax the arm though) or employ the natural nose clip technique to keep water from going up into your nose. You can create your own variations of this exercise, sinking sideways (not dropping your hip first) etc. After you are a relaxation master and can sink without a muscle twitch or fear of being under water, then you are ready to go on to the next stage and learn to balance yourself in the water.